With EZCast, enjoy your favorite online entertainments on TV from your favorite websites. No more small screens and tiny speakers. 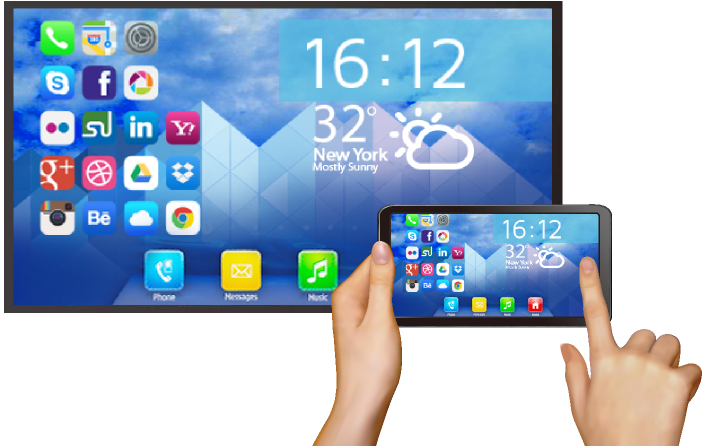 With EZCast, mirror your android smartphone to your TV and enjoy the large screen. With EZCast, browse and surf the internet on the large screen. EZCast works across platforms via EZCast Apps for Android, iOS, MacOS and Windows. You can even enjoy them all at the same time to split screen.